Joyful and Colorful Inspirational Coffee or Tea Mugs. Black text and decorations are incised into the matte white outsides, with raised color motifs and black glossy rims. Glossy deep tone interiors. 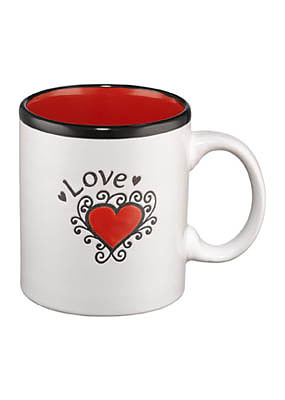 Love Heart White/red Mug by Christian Art Gift was published by Christian Art Gift in July 2011 and is our 5258th best seller. The ISBN for Love Heart White/red Mug is 6006937099937. 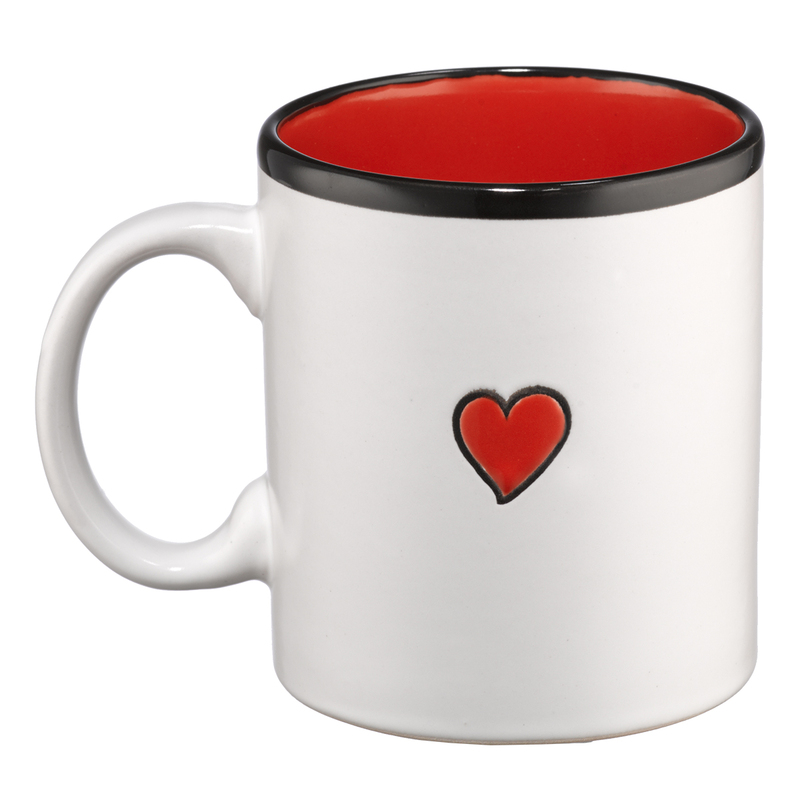 Be the first to review Love Heart White/red Mug! Got a question? No problem! 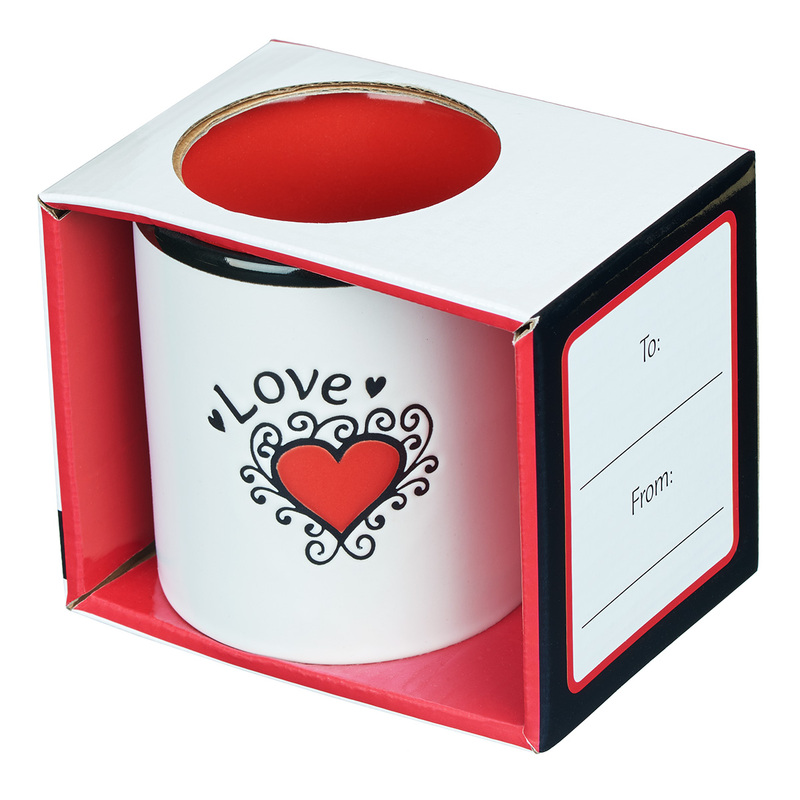 Just click here to ask us about Love Heart White/red Mug.